Website Design | Emedia Creative | Get an online quote now! 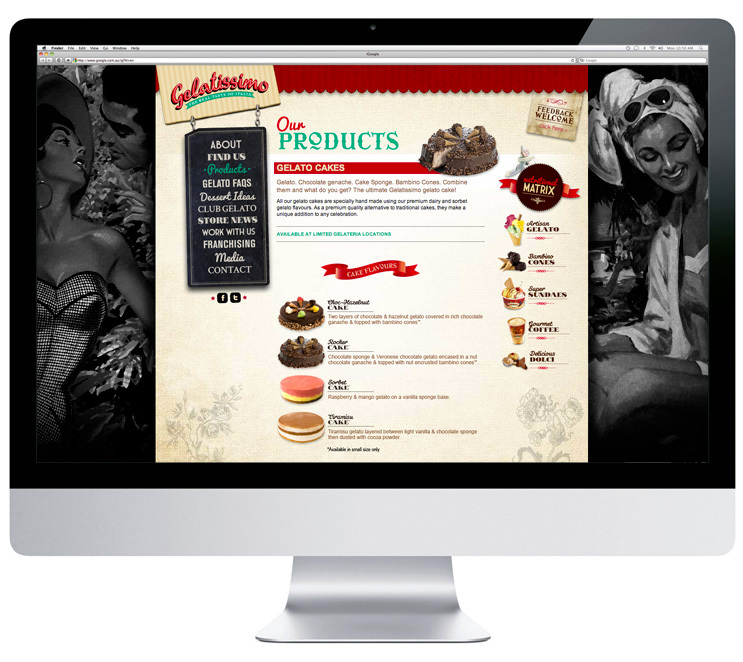 Gelatissimo needed a fun and engaging website to communicate company information to both consumers and franchise owners throughout the world. To create a strong sense of proud Italian heritage, we incorporated historical Italian elements such as old-style signs, retro fonts and iconic illustrative imagery. 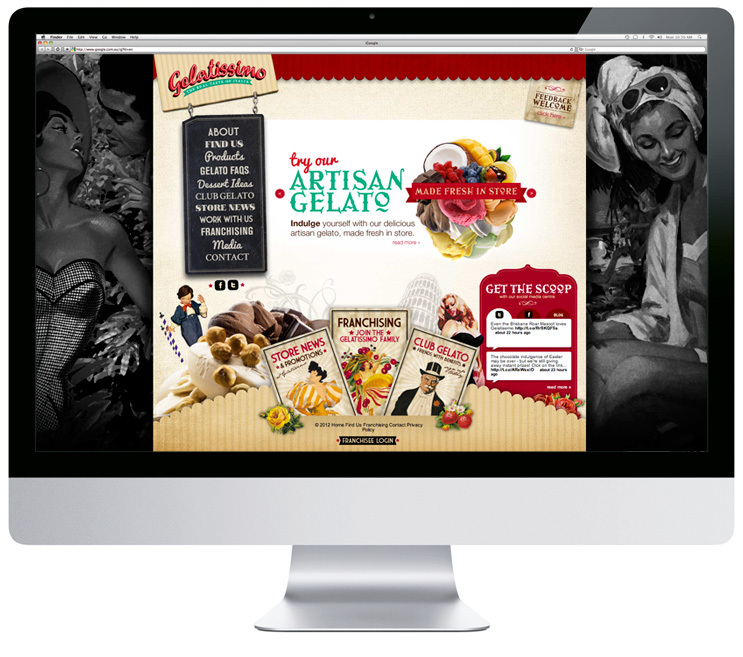 We used mouthwatering gelato images to show their range of products and communicate their passion for all things gelato.